Two CSU scientists are finalists in the Australian Women in Wine Awards, recognising their significant contribution to research in the industry. 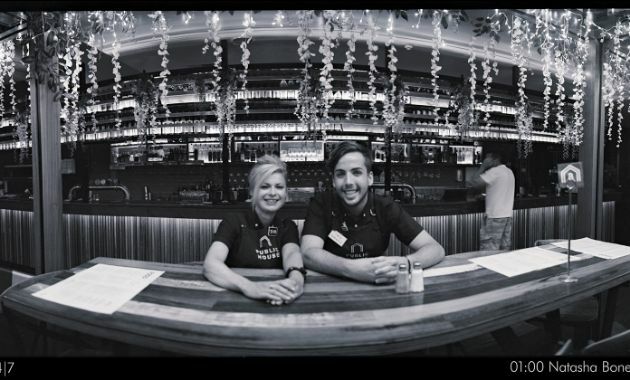 Two Charles Sturt University (CSU) scientists are finalists in the Australian Women in Wine Awards, recognising their significant contribution to research in the industry. 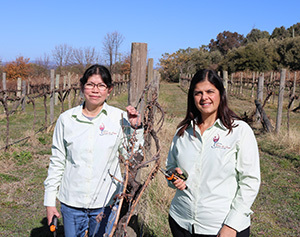 The team of Associate Professor Sandra Savocchia (pictured, on right) and Dr Regina Billones-Baaijens (on left) from the National Wine and Grape Industry Centre (NWGIC), is one of three finalists in the ‘Researcher of the Year’ category. Their research focuses on understanding grapevine trunk disease and developing practical management strategies for growers. Professor Savocchia from the CSU Faculty of Science and NWGIC said grapevine trunk diseases cost the Australian wine industry millions of dollars each year in lost productivity. “These diseases are caused by fungi that infect vines through pruning wounds and colonise wood, causing dieback and eventually killing the vine,” Professor Savocchia said. Postdoctoral Research Fellow Dr Regina Billones-Baaijens said one of the most significant contributions of the research is the development of DNA-based molecular tools to detect and quantify the pathogens in the vineyard. “We’ve been investigating the dispersal of the fungal spores throughout the year, how long pruned wood is susceptible to infection, wound protection treatments, and remedial surgery to control dieback,” Dr Billones-Baaijens said. Professor Savocchia and Dr Billones-Baaijens are looking forward to attending the Australian Women in Wine Symposium and Awards Day in Sydney on Friday 16 November. The current research project ‘Grapevine trunk disease management for vineyard longevity in diverse climates of Australia’ is funded by Wine Australia with financial support from industry and CSU.